Next review Omega Xl - BUYER BEWARE, Credit Card held hostage! Apr 08, 2016 We’re sorry to learn of the difficulties you had. As you have chosen to remain anonymous, we are unable to check on your refund and, if necessary, to prioritize it. If you wish to discuss your refund we recommend calling the service professionals in our Customer Advocacy Group at 1-800-607-0419 or via email at cagsupport@greathealthworks.com. Been suffering from backache and joint pain for years. 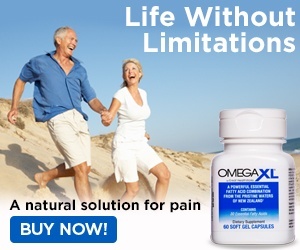 After watching the infomercial about Omega XL, I decided to try it. The product did nothing for me, instead it disrupted my bowel movement routine and caused severe constipation. I contacted the company who asked me to stop taking it for 3 to 4 days and then reduce dosage and that didn't help. I sent them an email of my concerns and informed them that I was returning the unopened bottle. I returned the product promptly and asked for a refund. 8 weeks later NO REFUND. Received an email with apology and nothing else. I'm still out over 35.00 for shipping even if and when I get my refund. Review #382996 is a subjective opinion of User382996.